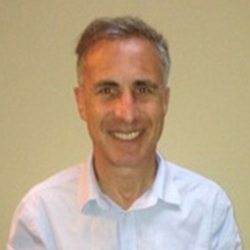 Dan Isserow is the Regional Executive for AccessEasyFunds in British Columbia. Dan is a Chartered Accountant by training and spent eight years as the CFO of a Finance Company before emigrating from South Africa in 1993. Prior to joining AEF, Dan was the CEO for Nando’s Chicken having been the founding partner of the restaurant chain in Canada. Dan is based in Vancouver to support AccessEasyFunds’ growing BC market; and is actively involved in connecting with and liaising with real brokerage offices and their agents. The motto of “all business is personal” is what Dan subscribes to and ensuring that people are dealt with in an honest and fair way is how he conducts himself and his business. He believes in great customer service. Dan’s No. 1 goal is to always exceed customer’s expectations! Dan is an avid sports fan. He supports the Vancouver Canucks and is an enthusiastic Arsenal fan. Working out for him is like brushing his teeth in the morning. A keen golfer, trying to lower his handicap on the links, is a constant and never-ending quest. Dan is a family man.